Move over Ford, GM, and Chrysler; Toyota is coming to town! Earlier today, Toyota announced that they will be forcing their way into the Detroit auto scene as they plan to invest a whopping $126 million in their Ann Arbor Technical Center to expand powertrain operations and consolidate vehicle development operations. 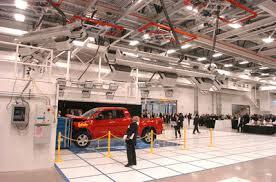 As part of the investment, Toyota will also be moving 85 jobs from sunny California to the Michigan tundra. Of the $126 million, Toyota will be spending $50 million towards the construction of a 260,000 square-foot prototype development facility and will be using the other $76 million as part of the powertrain engineering investment. The move comes at an interesting time for Toyota, a company that is adamant about reshaping their United States operation. It was just earlier this year that Toyota moved its U.S. headquarters from Torrance, California to Plano, Texas– which is right outside of Dallas. Currently, Toyota assembles 75% of their American car and truck inventory within the United States, housing assembly plants in Kentucky, Indiana, Texas, and Mississippi. They also have engine plants in Alabama and West Virginia. This North American presence has helped the Japanese automaker continue their recent run as the world’s most lucrative automaker. Moving forward, Toyota hopes to continue developing here in the United States, and they hope to do it the right way by integrating into the local communities and building a strong infrastructure. 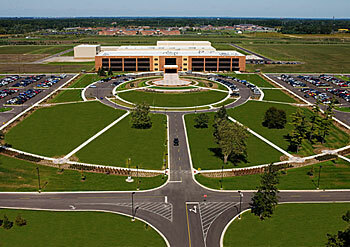 This entry was posted in Culture, Toyota and tagged $126 million, ann arbor, Ann Arbor Technical Center, expansion, powertrain, Toyota, united states. Bookmark the permalink.